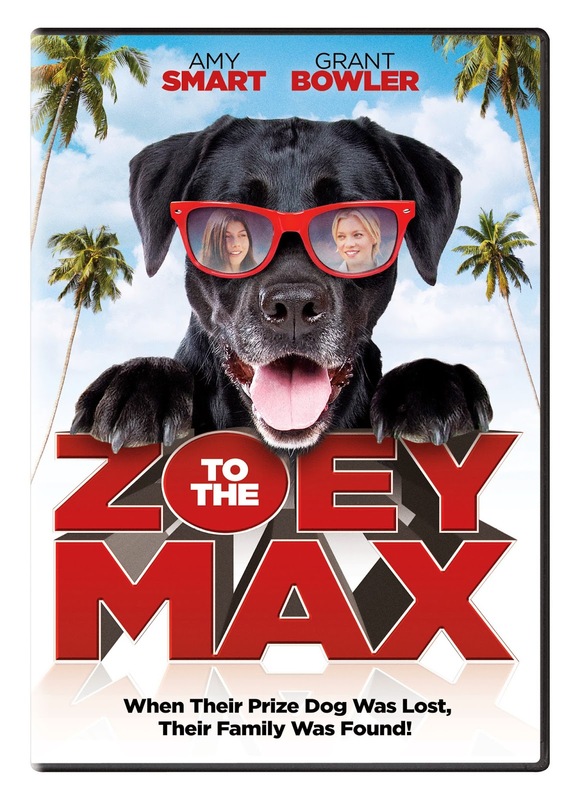 On March 24th, 2015, Cinedigm released Zoey to the Max on DVD and Digital HD! Being a huge fan of Amy Smart, this right away grabbed my attention. I figured it would be something cute both the kids and I could watch since most of the movies we review are children's cartoons! I've been dying for something I could enjoy along with them. The synopsis says "Zoey, a thirteen year old foster child, watches helplessly as her new family's dog Max gets stolen while she's in charge! The criminals, a pair of Home Alone-Like thugs are after Max because he's become an infamous show dog. Zoey, with the help of her new techy friend, set out across the desert in order to track down Max and save the relationship with her new foster family. Faced with this new challenge, Zoey must dig in and fight for the life she's always wanted, undergoing sudden personal growth in the process." I thought this was quite the cute story even though it was a very typical movie where the end is very predictable and it made me want to cry through a lot of it. We knew the ending before we were through the first half of the movie but thought it was very heartwarming! Alana and Dane both loved this as it had characters they could relate to in some ways. Recommendation: Alana enjoyed the film as she recognized tons of the actors and actresses. I thought it was super cute but I would definitely not pay $15 for it at this point (and especially because I am an adult, lol). Giveaway: Cinedigm is going to give TWO of A Lucky Ladybug's lucky readers a copy of Zoey to the Max on DVD to have of their own! We always start a garden. We are going to share a cabin in the woods with friends and family. I can't wait to get started on my garden! I am planning to fly down to LA to see my cousins new baby. I will probably do some hiking with my daughter and granddaughter if the snow every goes away. I am a bridesmaid in a wedding this weekend. After that you know what my spring plans are?? TO RELAX! Lol. Sit on the porch with the cats and catch up on magazines!! We're thinking about getting zoo membership passes for the kids. This spring we are remodeling my kitchen. We live in an older house and I am very excited to get a kitchen remodel.